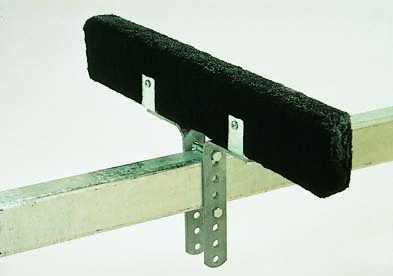 This 24" carpeted bunk mounts crossways on the trailer tongue to support the flat bottom of a Jon boat. Adjustable from 5-1/2" up to 8" above tongue. Heavy-duty bracket is made of galvanized steel.